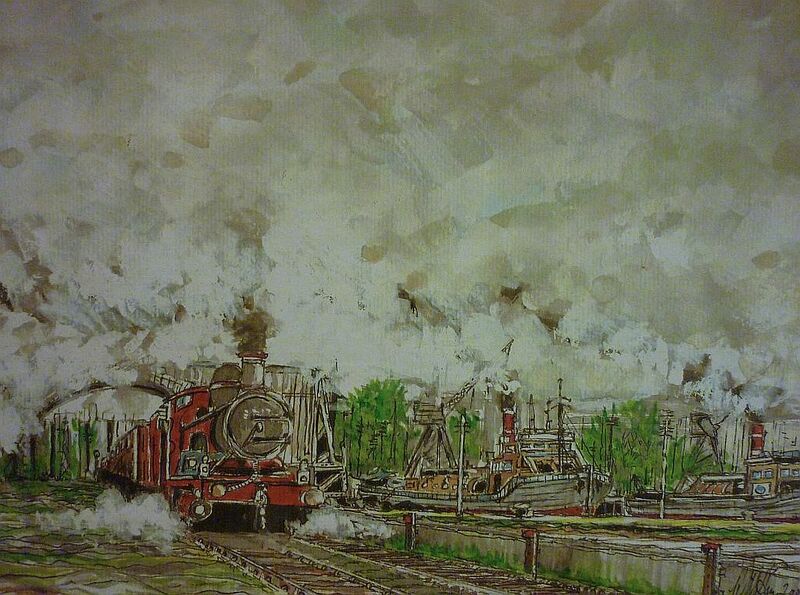 Steam Trainand Barge. Sheringham, Norfolk. Watercolour.Painted 2005.